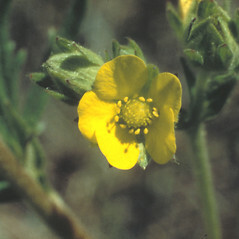 Coast cinquefoil is native to coastal areas in northern North America. In New England, it is found along the Atlantic coast of Maine and New Hampshire. 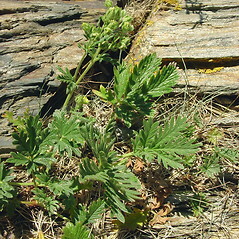 It is considered introduced where it occurs on a hilltop pasture in Vermont. 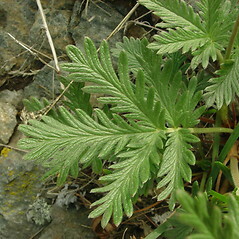 It has the typical leaves with five leaflets of all cinquefoils (from the French for "five leaves"), but the upper three leaflets are fused at their bases. If you look at the styles with a hand lens, you can see that they have glands at the base. 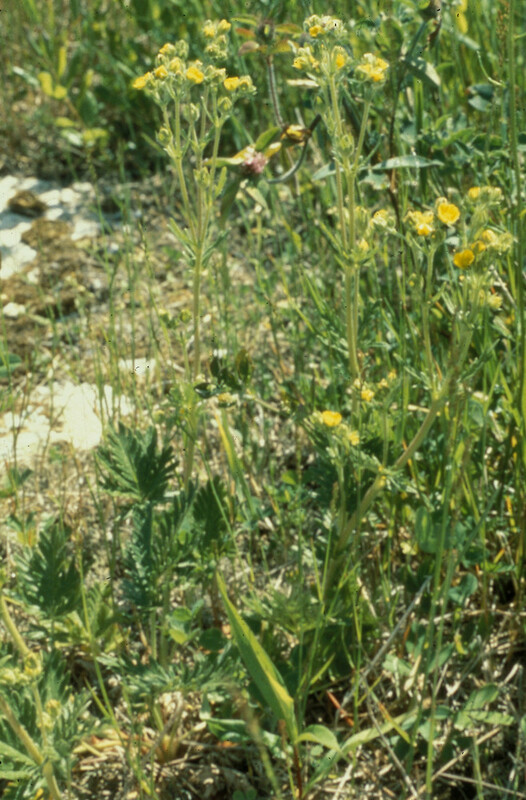 coast cinquefoil. 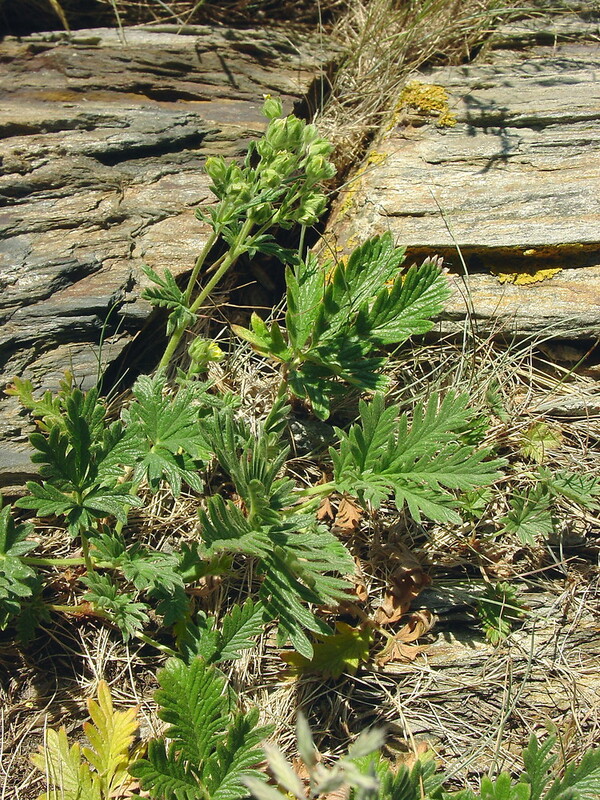 Potentilla pectinata Raf. 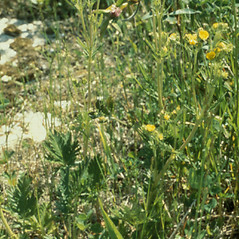 ; P. pensylvanica L. var. litoralis (Rydb.) 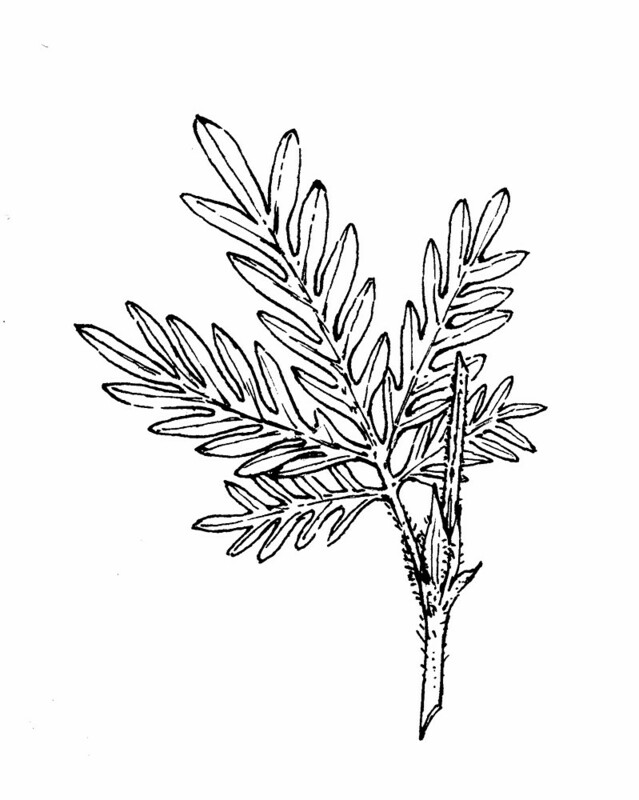 Boivin; P. pensylvanica L. var. 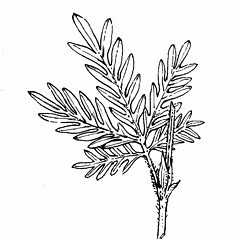 pectinata (Raf.) 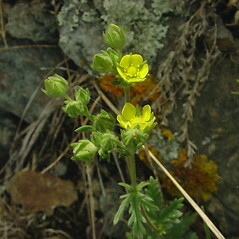 Boivin; P. pensylvanica L. var. virgulata (A. Nels.) T. Wolf; P. virgulata A. Nels. • ME, NH, VT; primarily near the Atlantic coastline. Fields, open headlands, rock outcrops. 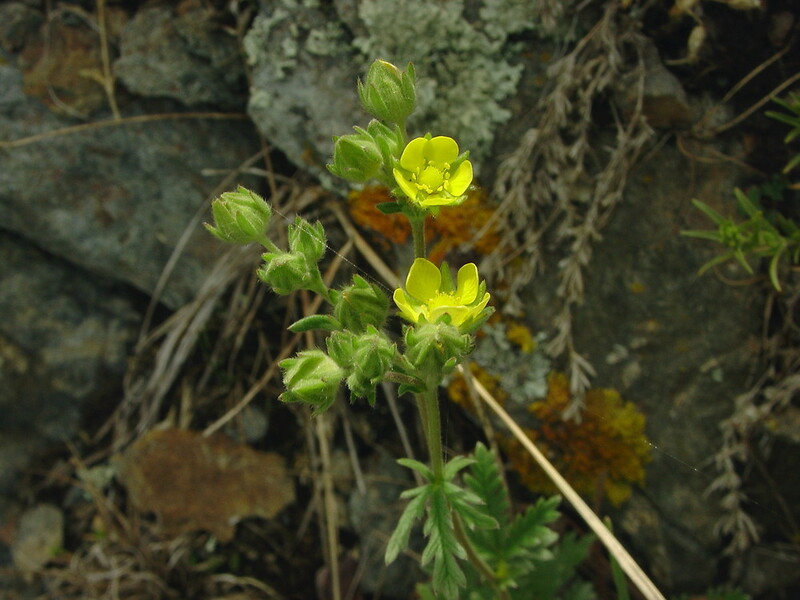 Introduced to an open hilltop pasture in VT, but native along the Atlantic coast. 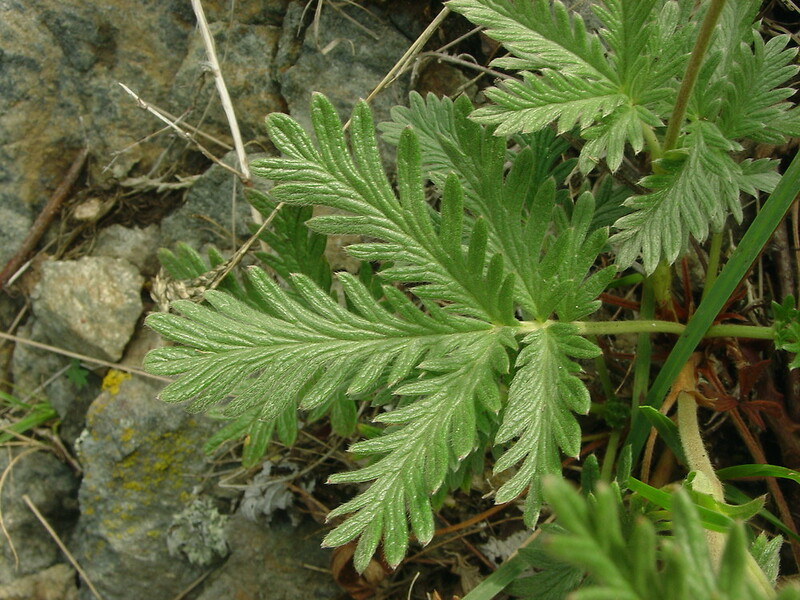 This plant belongs to a widespread species complex with a very troubled nomenclatural history. 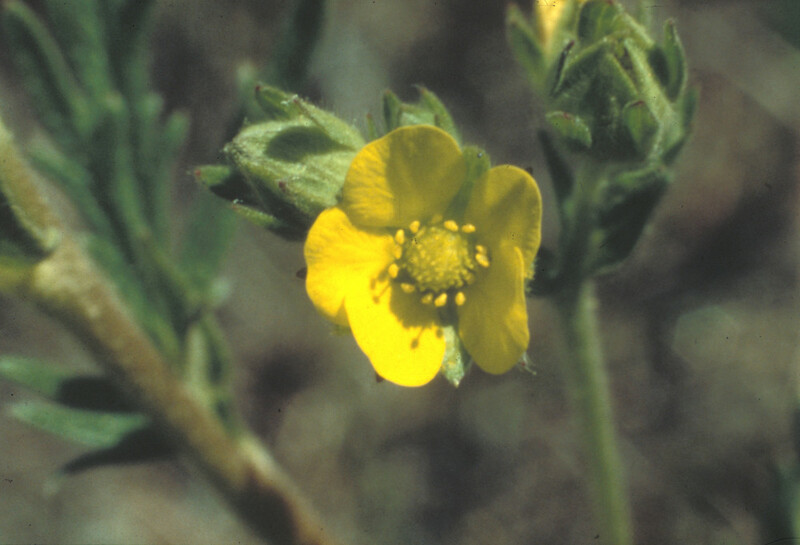 The name Potentilla pectinata Raf., formerly used for this species, is both superfluous and a later homonym.